For an essential everyday work style, to dressed down smart casual and the most special occasions, men's shirts are an absolute wardrobe staple. Update your collection with the newest detailing, innovative fabrications and on-trend prints. Dress to impress in classic tailored men's shirts - whether you go the whole hog with a full suit, or simply wear a dress shirt with trousers, it's the ultimate menswear look for those big events. Give it your own spin with quirky patterned shirts or bold contrast ties to accessorise. For the best in shirt styling, don't forget the essential finishing details - designer cufflinks, tie clips and men's leather belts give a real high end touch to the look. A more casual kind of guy? Wear your men's shirts with laid back cool. Softer shirts in linens and brushed cottons rolled up to the elbow make a perfect pairing with chinos and men's boat shoes for preppy style. 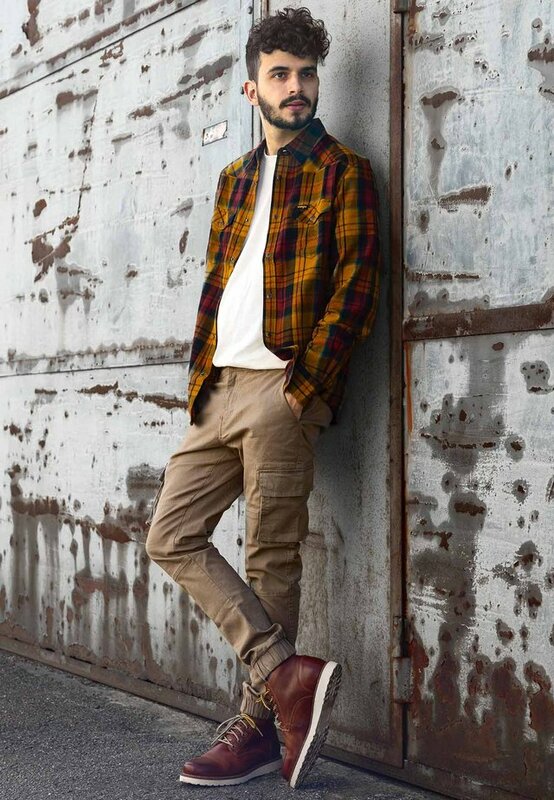 Go all out casual with checked and denim shirts, layered over t-shirts and worn with slouchy jeans for a hipster fashion approach to men's shirts with a hint of urban skater attitude. Camo print is a big new trend at the moment - embrace it with short sleeve muscle fit men's shirts teamed with dark jeans and trainers.